If you have been keeping up with my articles (thank you, loyal fans) you know that I recently came back from an incredible trip to Spain, during which I ate my body weight in local cuisine. Now that I'm back at school, I have realized that the ATL foodie scene has its own trendy lil taste of España. Here are 4 must-try Atlanta tapas hot spots to check out when you are feeling ~spicy~. If you couldn't tell from the name, Barcelona Wine Bar has two specialties: wine and food inspired by Barcelona. What's not to like? 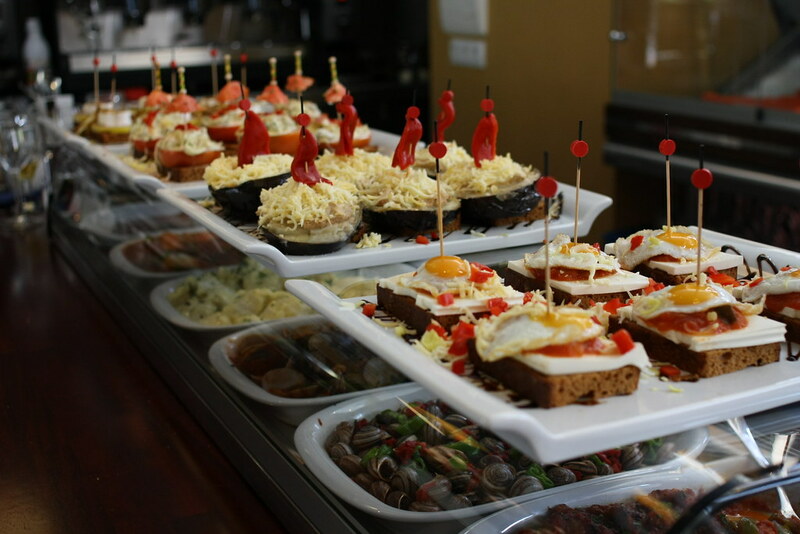 Their menu is entirely tapas, including fun charcuterie boards and big plates to share, like tasty paellas. The Inman Park location is moody, swanky, and every aesthetic moment you need to feel fabulous while you're sipping your glass of vino. Located in a mad bougie shopping district in Buckhead, when you step off the glass elevator into Gypsy Kitchen, you feel like you've been transported. This trendy Spanish-Moroccan-Indian tapas restaurant is both beautiful and absolutely delicious. With unique seasoning (cocoa-dusted scallops!) and creative takes on traditional dishes, you will be unable to stop ordering more plates. Inspired by delicious Spanish jamón (check out their Jamón Happy Hour), The Iberian Pig specializes in the most popular tapas plates straight from the homeland with a focus on, of course, the pig! Sausage, pork, bacon, you name it– the meat is the thing to eat at The Iberian Pig. Get ready to pig out! Whiskey Bird brings a hot new spin on tapas, bringing Asian fusion dishes to the Spanish tradition. Located on Highland Ave, this upbeat spot is perfect for a dinner with friends– you'll be fighting over who gets the last bite of every plate. Next time it's GNO or you're just celebrating the fact that it's Friday, gather a group that's ready to sample and share. Check out any of these trendy Atlanta tapas spots for a great food-stagram, an exceptional meal, and a fuego taste of Spanish flair.